A major exhibition celebrating the western cultural revolutions of W.B.Yeats opens this June at NUI Galway. 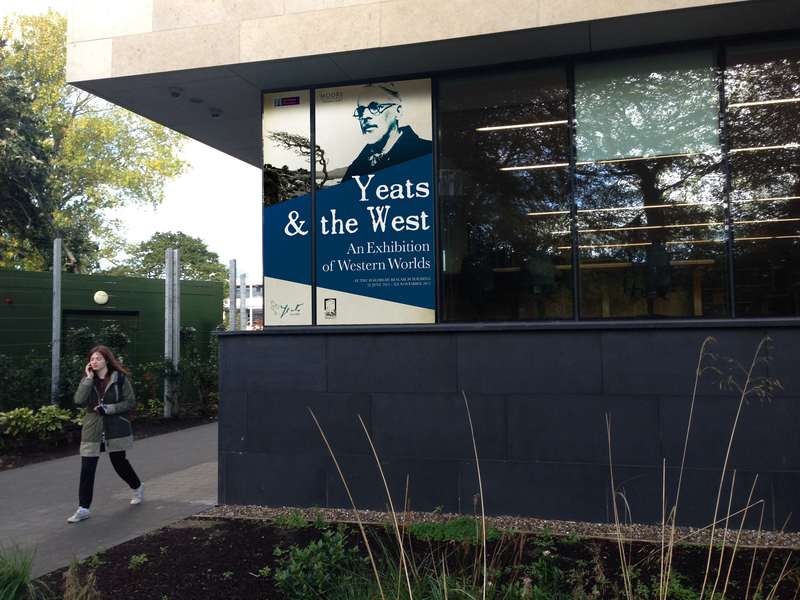 The Moore Institute and the Hardiman Library at NUI Galway presents Yeats & the West, an exhibition exploring Yeats’s life, work, and legacy, and his deep connections to the west. Yeats & the West reflects W.B. Yeats’s attention to life, love, and landscape in Galway, Sligo, and beyond. The exhibition details the many artistic collaborations that centred on Coole Park and Thoor Ballylee between artists inspired by the western world, and goes as far as the American west tracking the fortunes of western artists. Yeats & the West follows the formation of the Abbey Theatre in Galway, and Yeats’s work with J.M. 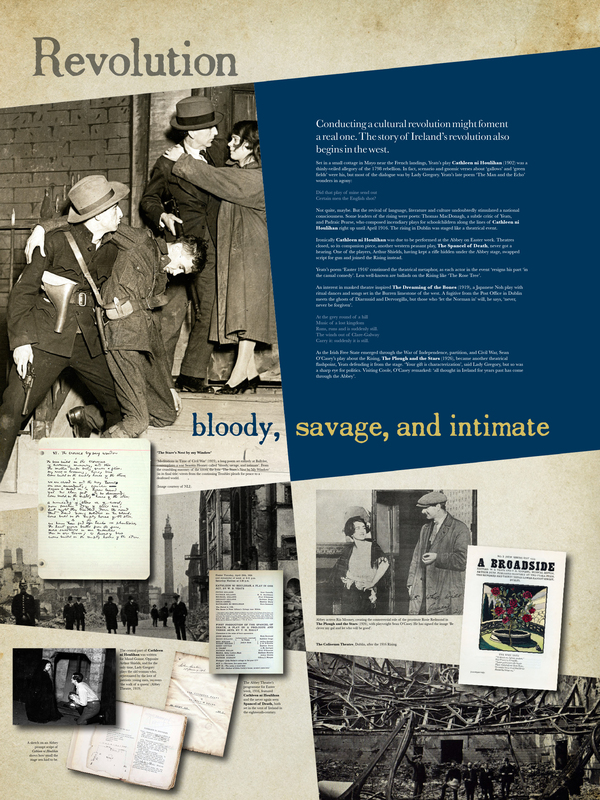 Synge, George Moore and Edward Martyn, using exclusive materials from NUI Galway’s Lady Gregory Collection, the Abbey Digital Archive, and the Lyric Theatre Belfast. It follows his foundation of Thoor Ballylee as a poetic symbol. 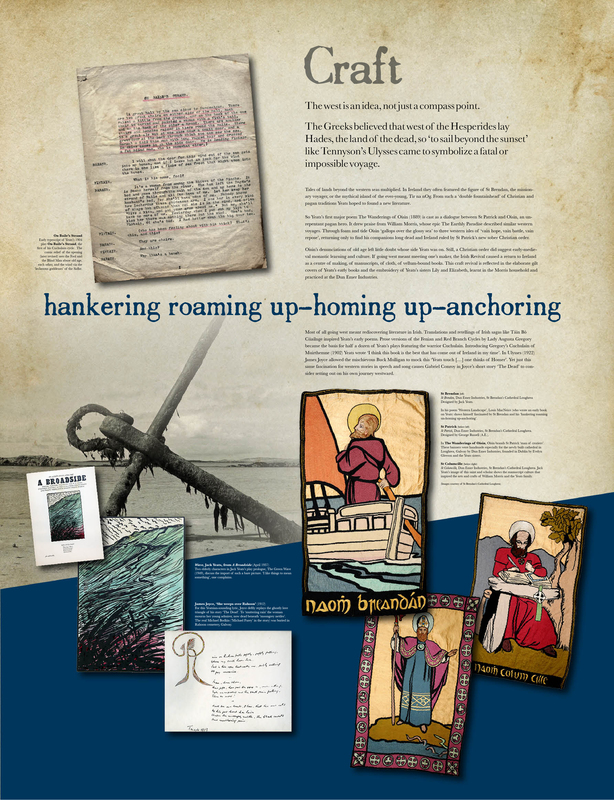 It explores his obsession with local poet Antoine Ó Raifteirí, and highlights the gifted artists of Yeats’s own family, whose pioneering work is showcased in exquisite handprinted books and in embroidery from Loughrea’s St. Brendan’s Cathedral. This interactive exhibition features original watercolour sketches and oils by W.B. Yeats’s brother, the celebrated artist Jack B. Yeats, works by Gerald Dillon and Harry Kernoff, priceless Cuala Press volumes and broadsides, a wealth of visual material from photographers from Fergus Bourke to Nicolas Fève, and rarely seen images and manuscripts from archive collections in NUI Galway and around the world. It follows Ireland’s dramatic political and cultural revolutions, and finds out how Hollywood and the American West began to answer back to these western dramas. Through rare books, original documents, and artworks, and using modern touchscreens, recorded sound, and exclusive film, visitors take a tour of Yeats’s commitment to history, tradition, and new art, all under western eyes. Talks and special events feature throughout the exhibition’s spectacular run from June to December 2015. Visit Yeats & the West and rediscover western worlds and western revolutions. Click here for visiting details and here for upcoming events.